I love the New Year. It's a time of beginnings, fresh starts and the opportunity to make new goals and resolutions. The first few weeks of the year are exciting as I make changes in my life and tackle my list of things I want to accomplish. Then like everything else in life, the novelty wears off, I get busy, or things happen and I don't stay committed. This year I decided was going to be different. And to help me really stick to my guns, I bought Design Aglow's The Big Picture Planner. What I love about this planner over all the other ones out there on the market is that they have pages devoted to yearly, quarterly, monthly, weekly and daily goals. And aside from a couple of weeks in February where I had so many emotional things happening in my life, I've really made it a point to do the work and write it down. Sometimes my list is too ambitious, but for the most part, I found myself tackling many items on it. What I also like about this planner is that I can break tasks and set a time period for when I want to make them happen. Like all the other years in my life, time flies and I can hardly believe we've just turned the calendar over to April. The start of the second quarter. Recently, I sat down with my planner and evaluated what I did and didn't accomplish in the first quarter and set goals for the next three months. It's so easy in the mundaneness of the day to day life to forget all the little things we've done. In my mind I really thought I hadn't made much progress, but sitting down with my notes, I realized that wasn't true. No, I didn't accomplish everything I had hoped to. But the year is not over, and there is still plenty of time to make those things happen. So here's a look back...and forward so far in 2018. Last year while I was in Florida, I signed up for a Certified Professional Photography prep class with Al Audelman. Sadly, Al passed away unexpectedly late last year. I didn't take the test in 2017, but it is high on my list for 2018. So I got out the study guide and have been studying almost on a daily basis. I've declared my candidacy and plan to take the written test in the next month or so. I also spent a lot of time, I mean hours, culling, organizing and editing photos I took in 2017. Since the winter months are a slow time for me with work, this was the perfect time to do this. I have a hard time keeping up during the year and I'm pleased to share that I have finished this task! And I finished organizing the rest of the files I hadn't gotten to from 2016! Man, what a good feeling it is to have this done! I fell off the wagon last year when I only sent out one newsletter. My intention was to change that in 2018 and I'm pleased to share that I did send out the first edition in Feb. I plan to keep up, sending out a new edition every quarter. I also re-evaluated my product and pricing list. And I'm excited to announce that I have added a new product that I think my clients will love! While I love blogging, sometimes I find myself stressing out because I have nothing ready to share. In those moments, I end up writing something hours before I post. So I vowed I would get ahead and have posts ready to go as fas as a month in advance. I got ahead back in Jan, then fell behind, but once again, I have written several posts and hopefully won't find myself panicked on Tuesday and Thursday mornings anymore. I've also made some changes to my website, updating some of the pages and photos. I have more work I want to do, but since it's a never ending process, I'm happy with what I've accomplished thus far. Last year I created a business Pinterest page and pretty much didn't touch it after that. It's been on my mind to learn how to set up my blog so I can share it on Pinterest effectively. I'm hearing from a lot of small business owners who are using Pinterest as a marketing tool and are having a lot of success. If you follow my blog, you may have noticed some new graphics I created specifically with Pinterest in mind. I didn't accomplish everything I wanted to. I had planned on writing a pdf download that all new subscribers to my newsletter would get when they sign up. I started writing the text, then just dropped the ball. I also intended to enter District Print Competition back in February. The deadline was just at the wrong time and apparently many other photographers felt the same way since entry numbers were down this year. I am, however, still planning on entering International Print Competition which takes place later this summer. I also wanted to set up a Limited Edition session that would take place in April. I've had this idea for a couple of years and told myself to just make it happen. And again, I did not. I'm not giving up on my idea. I just have to pick a new date and get to work on the details and marketing. Looking ahead to the next quarter, I have some goals to carry over as well as new ones to start working on. April gets started with a bang when I attend a workshop on studio lighting for pets. I also finish up a class I've been taking on preparing for print competition learning new editing and photoshop skills. I've learned a ton that I can't wait to start using in my workflow! I've already got a couple of sessions booked and I can't tell you how excited I am to get outdoors and behind the camera again. Winters are hard when the landscape is so blah and colorless. So, all in all, I'm pretty pleased with how 2018 has started. Looking forward to what the next three months brings! The older I get, the more I realize how important it is to live life following your true purpose. Finding your way is not always easy. We have so many voices out there telling us, prodding us or even pointing the way to the life we should be living. But the only voice that matters is the one inside your head. Are you listening? I mean, really listening and paying attention? I believe I'm one of the lucky ones who discovered my life’s mission at a young age. And while I’ve stumbled and fallen along the way, I never lost sight of what that is. But before I talk about that, I need to dive into my childhood and share a little bit of my history. When I was in fifth grade, my teacher gave the class an assignment to write a paper. I don’t remember all the specifics, but I do remember that I chose to write about the panda bears. As I did my research, I learned the plight of these cuddly black and white bears - how their numbers were dwindling due to deforestation and population growth. I wrote a proposal on how I could solve this problem. In the mind of a ten year old child, it was easy. Set up a table at the base of the mountain where the panda bears live and stop anyone from further destroying the habitat and developing the land. Simple, right? Well, that was just the beginning of my awareness for my love of animals. Like so many adolescents, I struggled with finding my place amongst my peers. I was probably more insecure than many of my classmates, and I definitely was one of the shiest kids in my class. I struggled with fitting in and feeling like I was well liked…or even liked at all. My self-confidence was low - something I eventually outgrew, but only as a young adult. My teenage years were tough, to say the least. I know I fought depression to boot and often wondered if my life would ever get any better. While at the time puberty seemed to be a very painful experience, looking back, I’m glad I went through everything I did. I believe it made me a more compassionate, emphatic and caring person. Getting through those years wasn’t easy though. And the single thing that probably helped me the most was a cat. Yes, a crossed-eye, loud mouth siamese named Ke-O-ke. She was born a year before me. I’m sure when I came along, she wondered what was this creature that cried, smelled and babbled. Then once I was crawling and could pull her tail, her ears, her fur, she probably hated me. But eventually I got bigger and calmer and we became the best of friends. Even though she was my parents' cat, the baby before me, she ended up being mine. She hung out in my room during the day, followed me everywhere and slept beside me every night. She was the one I told my secrets to, who listened to my sobs whenever I cried, who made me feel like I mattered when so many days I wondered if anyone really loved me. She didn’t care that I had a face full of angry red welts otherwise known as pimples, was moody because of PMS (or just all the time! ), or that all the girls, except me, had gone to the movies. She didn’t care if I was the most popular (I wasn’t) or the best dressed (I wasn’t), she still greeted me at the door with her purrs when I came home from school. When I doubted anyone would miss me if I ran away, I knew she would. When I felt alone, she was the one who kept me company. When I didn’t feel I had anyone to talk to, it was Ke-O-Ke who meowed at me. You see, she didn’t see me the way I saw myself. She didn’t judge me the way I judged myself. She loved me in a way I couldn’t. And now that I’m all grown up, I still struggle with self-worth sometimes. Don’t we all? But isn’t that what we love about our furry best friends? They love us unconditionally. They stand beside us even when we make mistakes. They don’t care if we are single, married, are parents or not. It doesn’t matter if we are dressed to the nines or wearing yesterday’s dirty clothes. Or if we take them to the park in a fancy SUV or a beat up old car. They don’t care if we make an appearance at friday night’s happenings around town or stay home curled up with a good book. They make us laugh, give us purpose and make a difference in our lives. In a way we sometimes can’t do for ourselves. I don’t think it’s an accident that dog is God spelled backwards. While I can’t say for sure there is a God, I do believe in something bigger than myself. I believe this higher power, or Supreme Being, created me. And in His or Her eyes, I am perfect in every imperfect way. I also believe that one of the struggles every human being faces, is the ability to see ourselves the way our Supreme Being does. The way our dogs (and cats and other pets) do. That we are worthy of life, love and human experiences. I believe that every thing happens for a reason. It all serves to get us to the point where we believe and know that we are enough. That we are all connected. That we all matter. Our life purpose is to discover who we are, to unearth the treasures hidden deep within ourselves and share them with the world. For some of us, the way to this truth is though the furry best friends we meet, care for and love along the way. They teach us so much about life. About ourselves. About human kind. About connection. Because in the end, the only true thing that that matters is love. This is my why. Why I’ve made a career out of working with animals. Why I am a photographer. And a pet photographer in particular. To capture the connection, the bond we share with these creatures who play such a huge role in our lives. To show you what they see in you. And what you see in them. Your teachers, your protectors, your best friends. Because animals matter. And so do you. Bidders be ready - State College pet photography session up for auction! 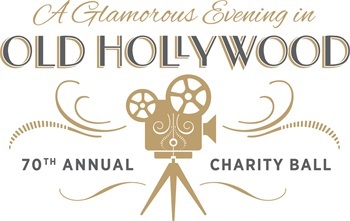 This year's Mount Nittany Medical Center Charity Ball, A Glamorous evening in Old Hollywood, takes place Saturday February 24 at The Penn Stater Hotel. Proceeds will benefit palliative care at the Mount Nittany Medical Center. As part of the event, an online auction will go live beginning Monday February 12 at 8 am. One of the items you can bid on is a pet photography package session with me! This is the perfect time to set up a session for the furry loved ones in your life and help a great cause! To bid on this and other awesome packages go HERE. Can't wait to meet the lucky winner! State College Pet Photography session up for auction! Last year I made the decision to donate a couple of pet photography sessions to local charities to help raise money for some great causes. I was a little nervous about how well it would be received, but had such a great experience with not only the charities, but also the winners, I've decided to do it again this year. First up is the WPSU Connoisseur's Dinner & Auction. The event takes place Saturday February 10 at the Nittany Lion Inn with dinner by host chef Nick Stellino. To purchase tickets for the event, click HERE. 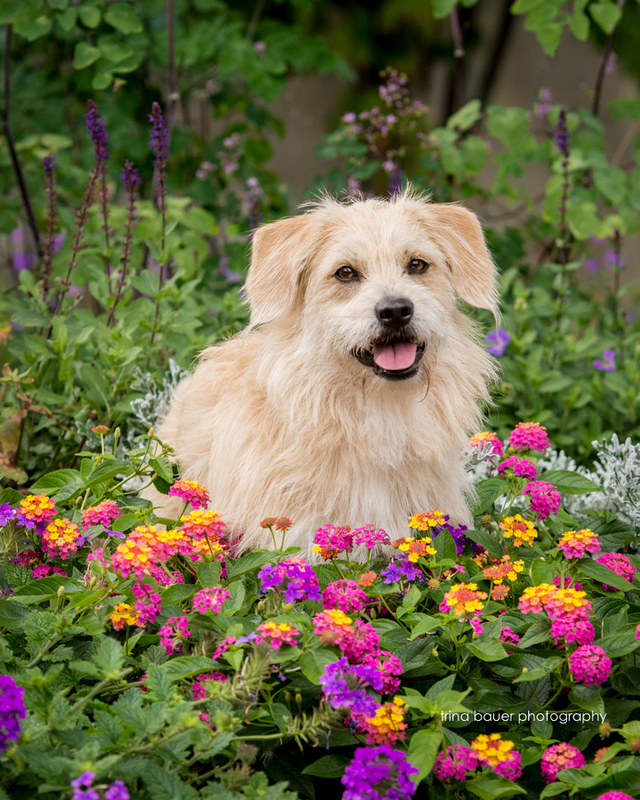 If you've been thinking about having photos of your furry family members, now is a great time to make that happen! Close your eyes and imagine your dream life. Are you living in a mountain? Near a beach? On 20 acres with a stream running through your backyard? Do you have a million dollars in the bank? Or five million? Do you own a boat? Are you traveling the world? Or are you traveling around the country in your RV? Do you wake up every morning and pinch yourself because you have the best job in the world? Are you healthy and active? Are you rested because you get a full night’s sleep every single night? Are you surrounded by the love of family and friends? Now open your eyes. Is the life in front of you the life you just pictured? I just finished reading perhaps one of the best books I have ever read. It’s not on the best seller list and in fact was written more than 50 years ago. But it was on my list of recommended books to read for entrepreneurs. It’s called “Think and Grow Rich” by Napoleon Hill. I checked it out of my local library and loved it so much so, I’m planning on buying a copy. Just so I can highlight and dog ear all the pages I keep going back and re-reading. I plan on making myself read from it at least once a week so I can keep the lessons it teaches on the front of my mind constantly. It was that good. Ever since I finished it, I have felt more confident, creative, richer and deserving. Did anything in my life change? No, I didn’t get a huge paycheck, or an unexpected compliment from a famous and successful photographer. Nor did I smoke a joint and start photographing my best work. But the conversation I have with myself is different. Because my thoughts changed. Whatever the mind of man can conceive and believe it can achieve. Mr Hill breaks down the steps you need to take in order to have the life you dream of. It starts and ends with your thoughts. It doesn’t cost anything. So whether you are rich now or want to be, you can make this happen. You just have to work at it. Daily. Twice daily is better. You are what you think. If you are met with luck over and over again, you created the opportunities that make that happen. Keep running into bad luck? Yeah, I’ve met him too. That was all my doing. Change your thoughts and you’ll change the outcome. Guaranteed. If you make a wish with one eye open because you’re not sure you believe it’ll happen, guess what? It won’t. If you tell yourself “you don’t deserve it,” the thing you wish for will find someone else to receive it. Read that again. The thing you wish for will come true for someone else. Someone who believes he or she deserves it. Thoughts are things. They respond to energy. And you are energy. Like a radio wave, you put out vibes. These vibes can be negative or positive, depending on what your thoughts are. If you’re putting out self-doubting thoughts, your radio channel will be tuned to that. And what happens? The universe hears it and responds in kind. You wish for a million dollars but think you don’t deserve it. The universe says, ok, I’ll find someone who does. Just like that. What does this have to do with a pet photographer who wants to build a successful business? Like many of you, I doubt myself. I question my ability to be good at what I want to do. I ponder whether I could ever earn enough just to pay my expenses, let alone live on. I have so many ideas and dreams I want to make happen, but aren’t. Now I know why. This book isn’t just for creatives or business owners. It’s also not about being rich as in being a millionaire or a billionaire. Rich is defined so many ways. The line that stood out the most for me is that I can order any life I want. Just like at a restaurant. Place your order and it is delivered to you. You can and should do the same with your life. When you order a stack of pancakes, do you sit there and worry for the next 10 minutes that the waiter is going to bring you an omelet with a side of home fries? No. You placed your order and are confident the waiter conveyed that to the chef who then prepares it just for you.